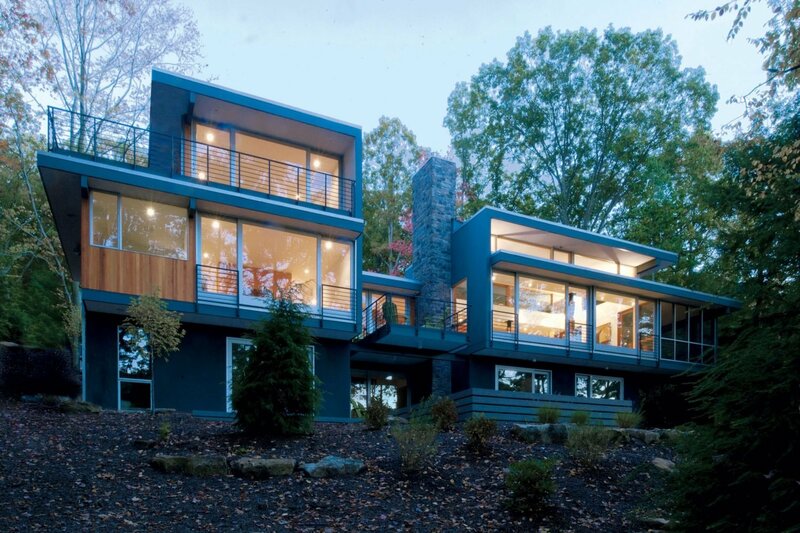 Their modern Reston home only looks like a million bucks. 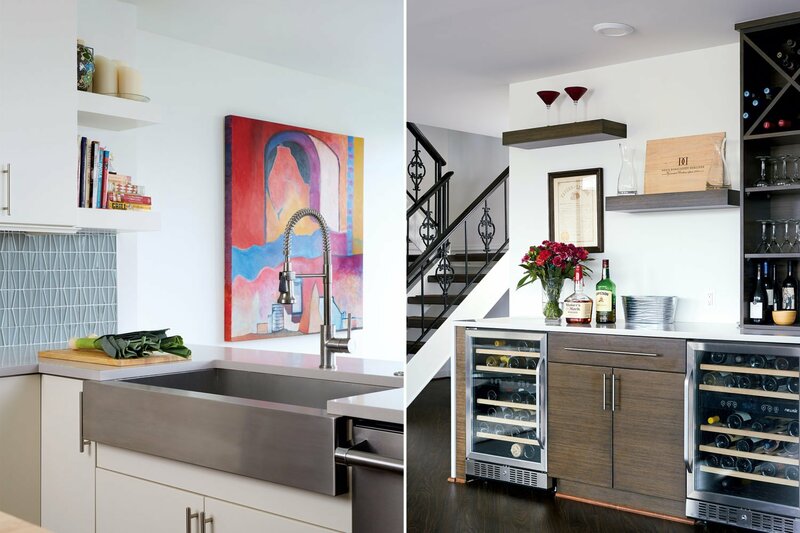 A couple on a budget created a bright Reston home that only looks like a million bucks. 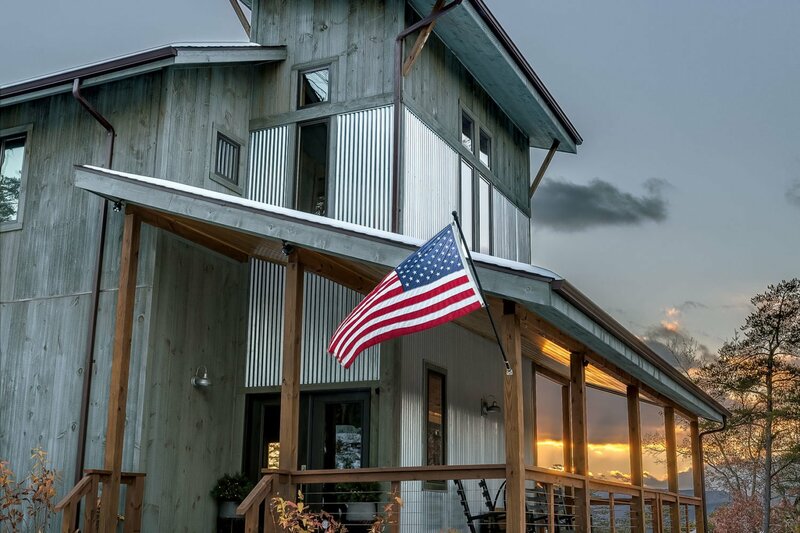 If you subscribe to the stereotype that millennials are too content wasting money on avocado toast and living in 300-square-foot micro-units to become homeowners, you should get to know Laura Metzler. 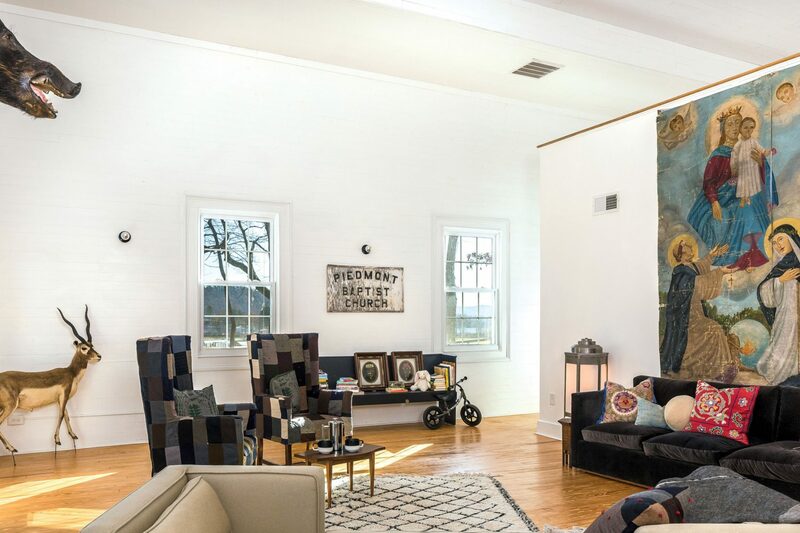 The 29-year-old photographer and her 30-year-old husband spent the first part of their relationship sharing a group house with four roommates in Herndon. 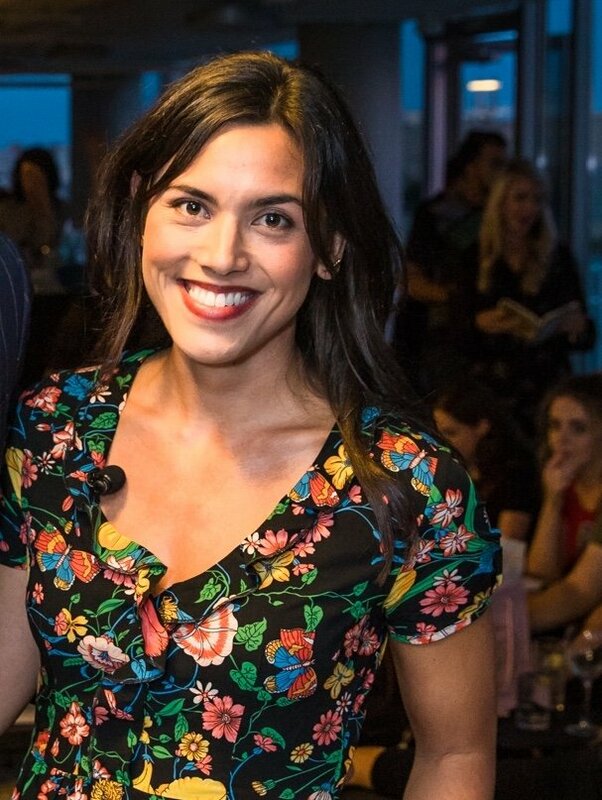 At the time, she worked for LivingSocial in DC—a 90-minute car-bus-and-Metro ride away—while freelancing nights and weekends as a photographer. 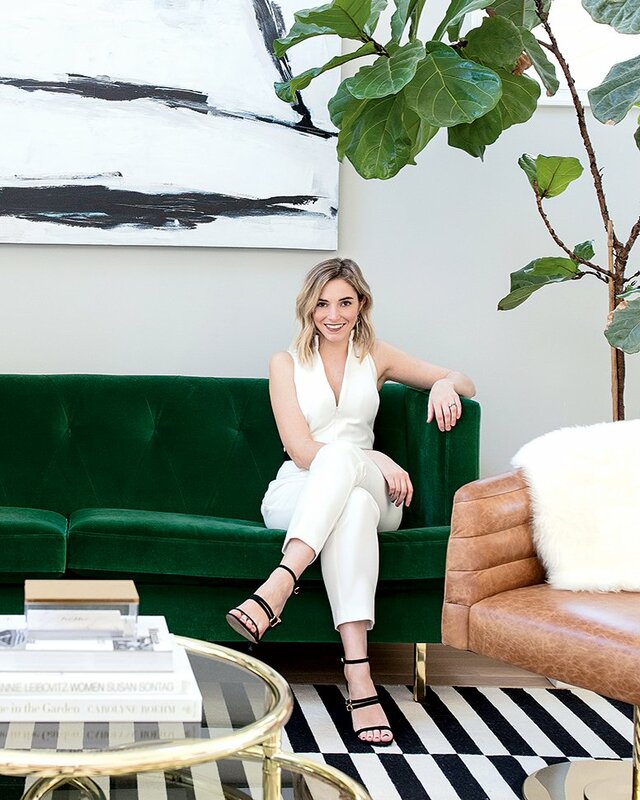 Metzler in her living room—which combines vintage pieces with finds from CB2 and Ikea. Photograph of Metzler by Anne Kim for Laura Metzler Photography. 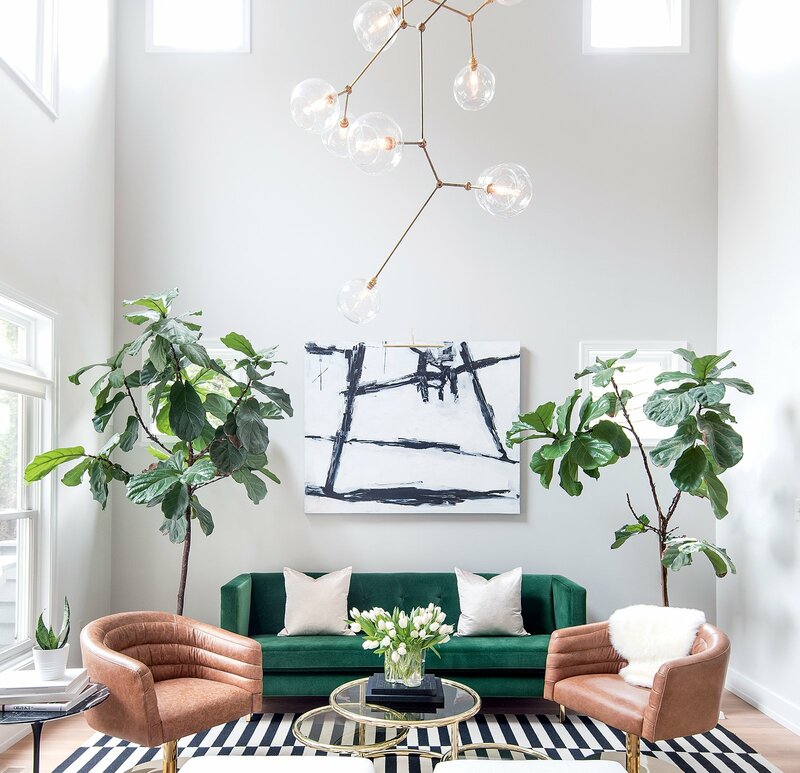 Eventually, they saved enough to get that: a contemporary, light-filled house in Reston, in need of just the right amount of updating to make it their own. 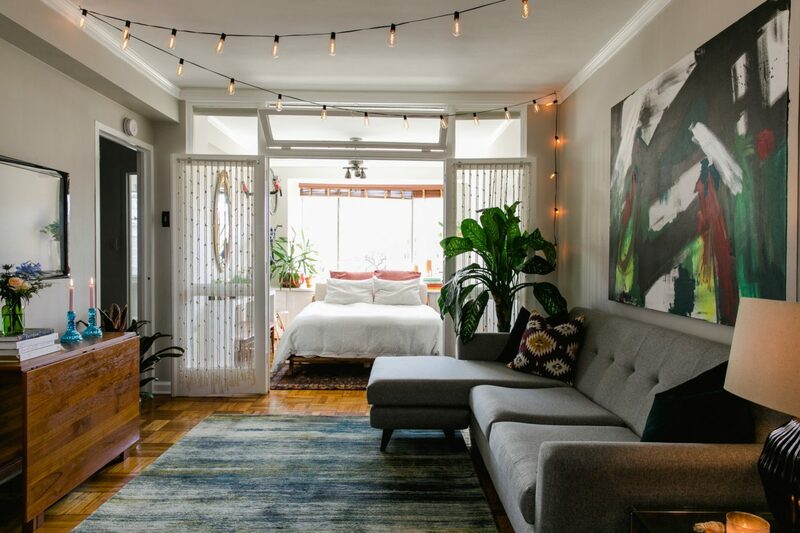 The couple has spent the last two years renovating it mostly themselves and filling it with stylish decor they’ve pieced together from eBay, Craigslist, clearance sales, and Ikea. 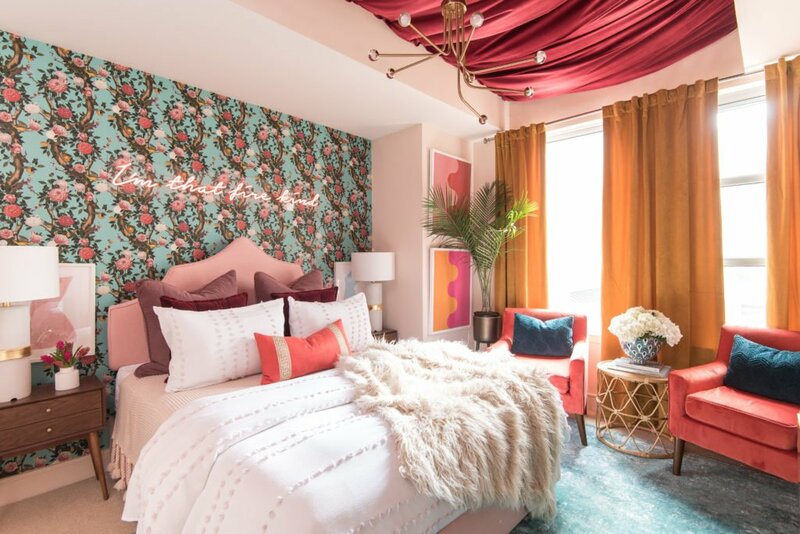 The result is a space that only looks like a million bucks. 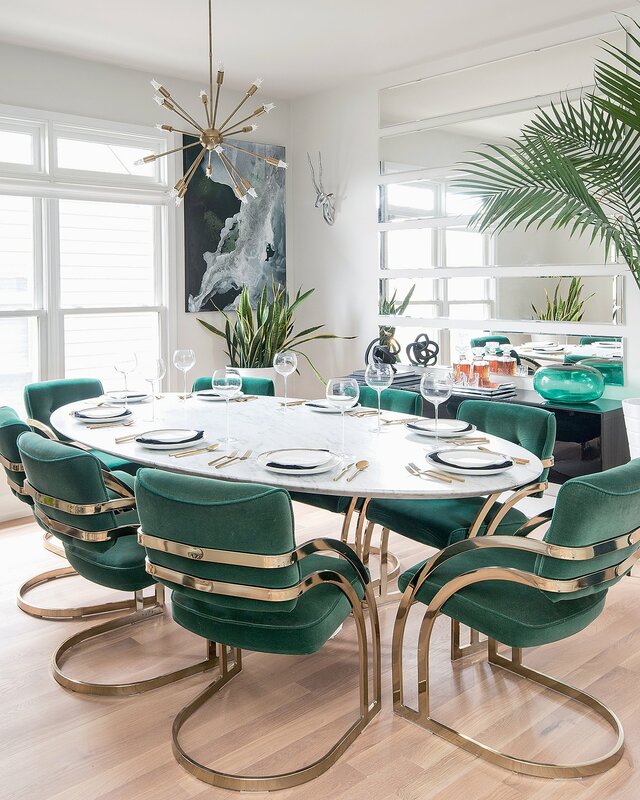 The green velvet dining chairs by Milo Baughman, top, were a bargain on eBay, while Metzler scored the marble tabletop on clearance at Restoration Hardware. Though the house was built in 2000, its interiors now nod to midcentury modern. 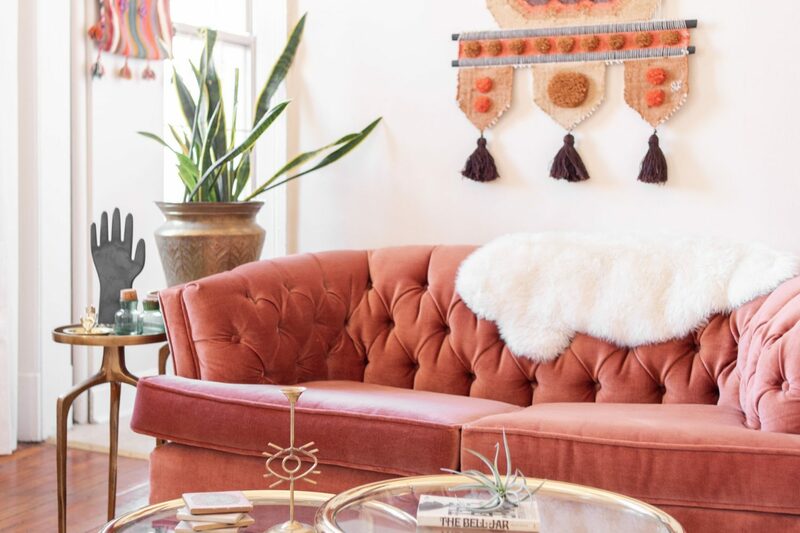 Metzler credits her husband (who asked not to be identified) with finding a lot of the funky, vintage furniture that gives the place so much of its personality. The brass-and-emerald-velvet dining chairs by Milo Baughman, for instance, are the fruits of a years-long hunt. “He set up an eBay alert, and we found them for a ridiculous deal,” says Metzler. “They’re from 1984—never been reupholstered.” The couple paid $1,800 for all eight, including cross-country shipping. The pair of vintage blue chairs, also by Baughman, are another eBay find. The leather Restoration Hardware sofa came from Craigslist. The blue velvet chairs in the living room—also by Baughman—are another eBay score. 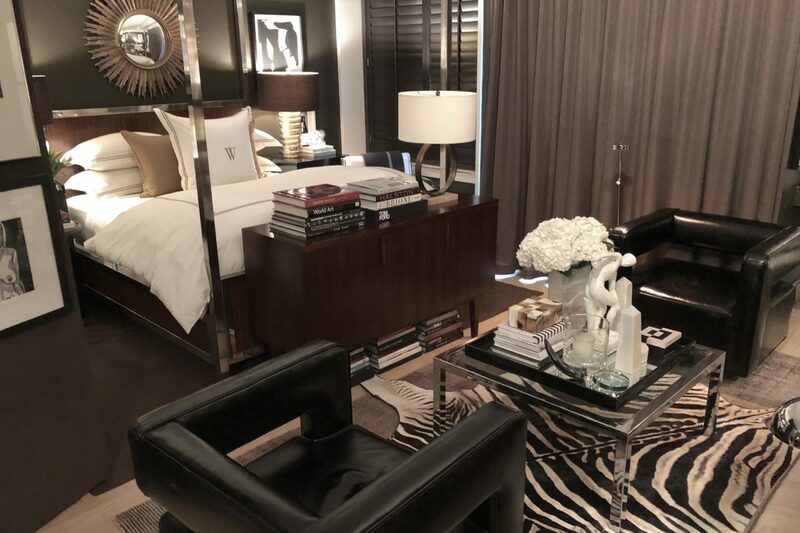 The gray leather sofa across from those came from Craigs­list. It’s the exact model Metzler and her husband had stalked for months at Restoration Hardware, where the $6,000 price was out of reach. A woman in Northeast DC sold them the nearly new one for $1,500. 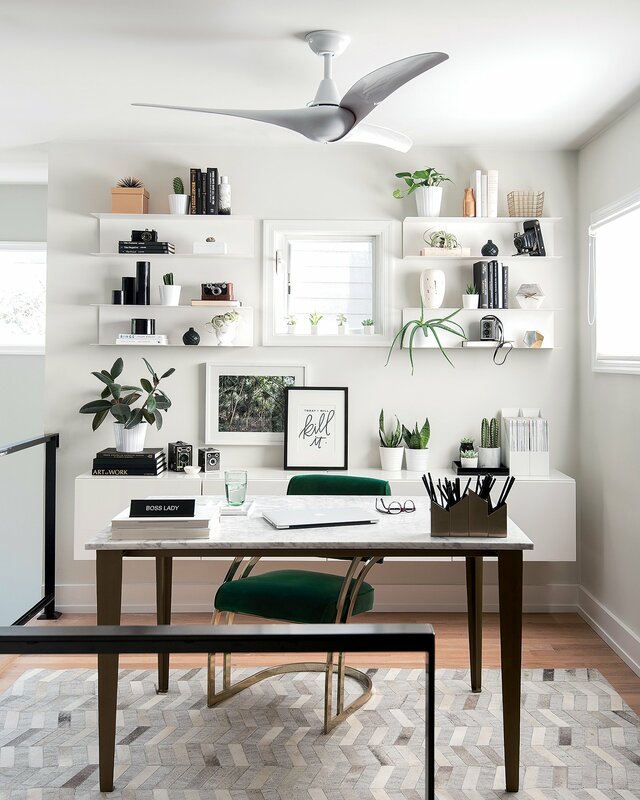 Laura Metzler’s desk, top, is actually a dining table from CB2. She says it’s one of the few items she was willing to pay full price for, because she often works from home. But the bargain that might make Metzler proudest is the oval Saarinen-style dining table. 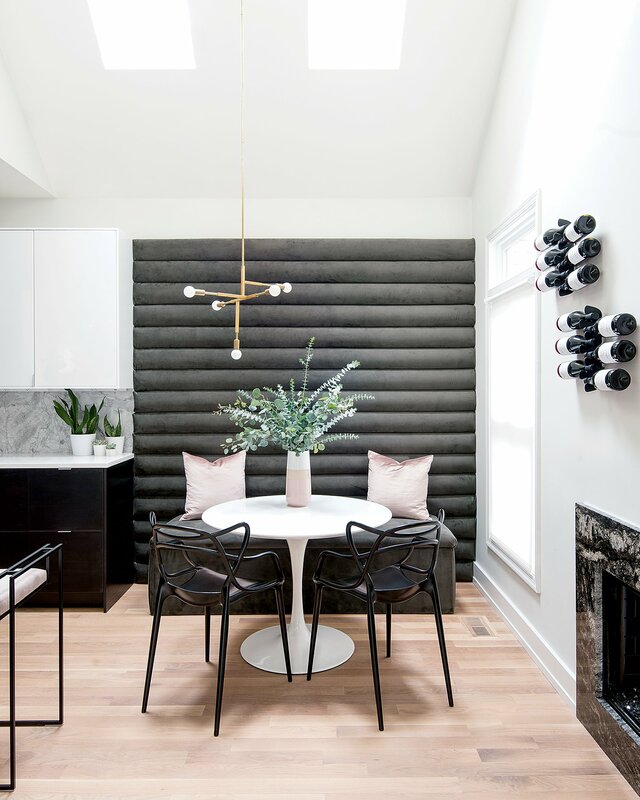 A real 96-inch, marble-topped Saarinen (about $8,500) was out of the question, but Metzler was determined to find an alternative that at least looked like the genuine article. They DIY’d the banquette for about $400. She was in Restoration Hardware when she came across a tabletop of exactly the right size and shape. “It had a 95-percent-off clearance sticker. It’s real marble. It’s incredible,” she says. The hitch: It was cracked. But at $250, Metzler snapped it up anyway. (A marble shop later confirmed it’s unlikely ever to break, but if it does, there’s a relatively easy fix.) The couple found a guy on Craigslist selling Saarinen-style table bases. They paid $1,200 for one, bringing their very convincing knockoff to less than $1,500 in all. 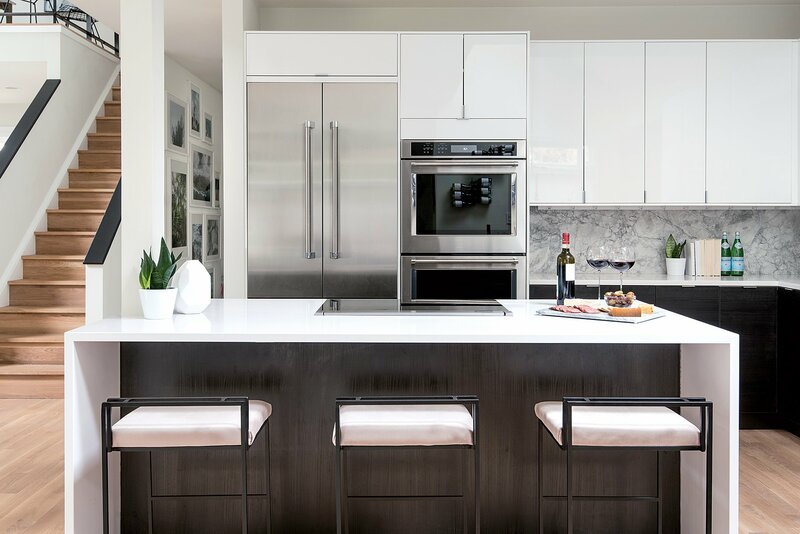 Metzler and her husband designed and built their kitchen using Ikea cabinetry. Of course, the house’s makeover hasn’t only been about shopping—it’s required physical labor, too. The couple tackled the kitchen remodel last year, building the space with help from Metzler’s dad. She assembled the Ikea cabinets and drawers while her husband built and installed the island, which had to be modified to fit their kitchen. He also made custom trim pieces to give the cabinets a higher-end look. They DIY’d the banquette in the breakfast nook, a project that cost about $400, between the velvet fabric, plywood, and foam batting. 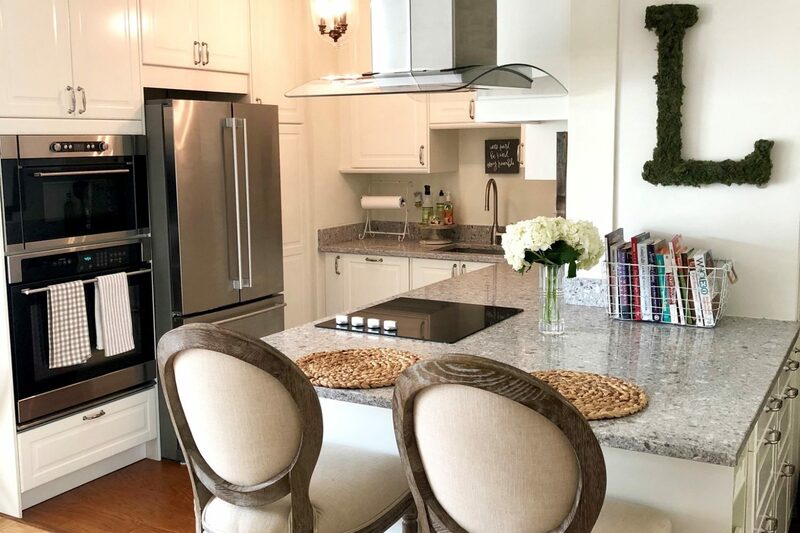 They were strategic about where they splurged on professional help, hiring pros to install the Silestone countertops and hardwood flooring, for example, and to hang the alligator-texture wallpaper in the powder room. “We figured that’s the bathroom everyone uses,” says Metzler. Another area where they didn’t skimp? Plants and artwork. 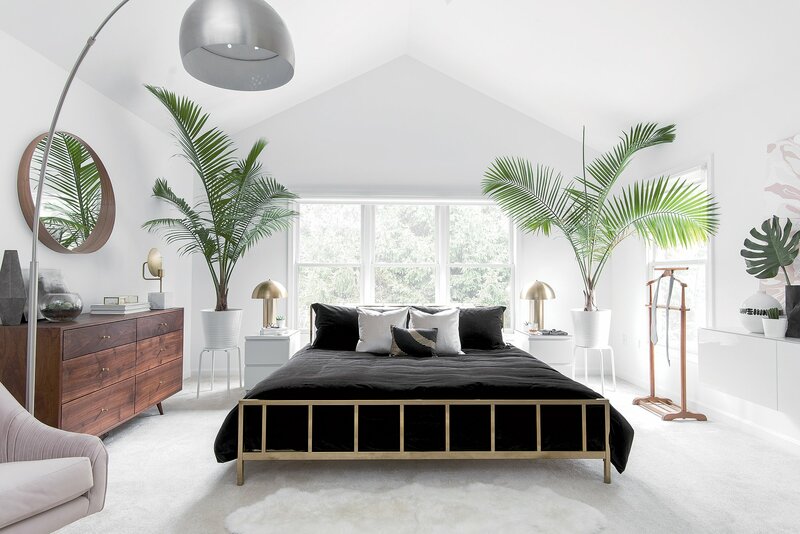 She credits both with energizing nearly every room: “I think plants make everything better. 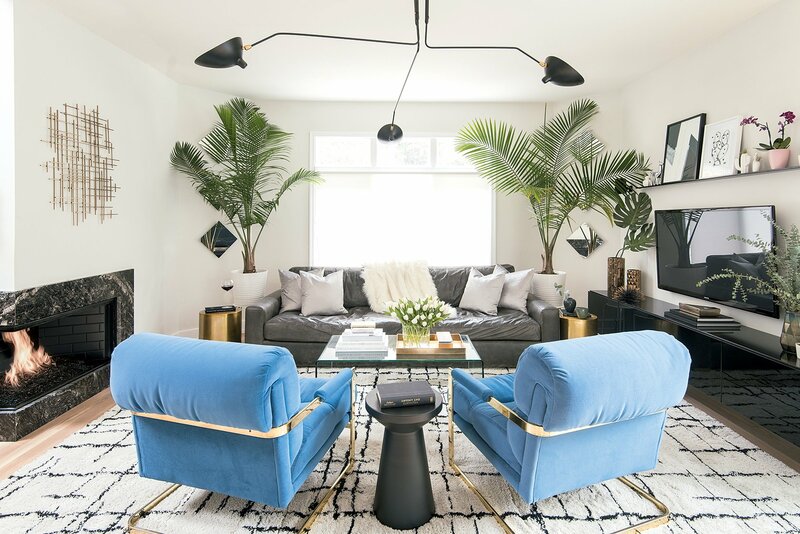 If you walk into our house without plants, it looks so weird and bare.” Metzler turned to two friends, local artists Kristin Gaudio Endsley and Taylor Kampa Olson, for paintings hung throughout the home. In the entry to the master bedroom, Metzler installed a wall of Ikea shelving to hold shoes.